Clark Airport has become a major international gateway of the Philippines. Now people are asking, what's there to do in Clark? So I've come up with a list of Top 10 things to do while in Clark Freeport and Pampanga! You haven't been to Pampanga if you haven't savored its food. Pampanga's capital San Fernando, just 20 minutes from Clark, is home to Everybody's Cafe where everyday Kapampangan food is as exotic as it can get. Angeles City is the birthplace of sisig and make sure you taste the original at Aling Lucing's. The sisig at Mely's (San Fernando) and Mila's (Angeles) is also worth the visit. 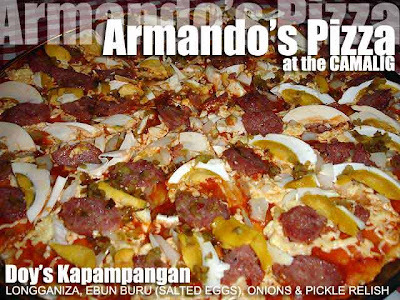 At the Historic Camalig Restaurant, Kapampangan pizza is topped with longaniza, salted duck eggs, and pickle relish. The halo-halo in Pampanga is also suberb! There are three distinct varieties: Guagua (Razon's), Arayat (Kabigting's and Jurado's), and Angeles (Corazon's). There's also a row of kambingans (or goat restaurants) in the Bayanihan Park area (unfortunately, Mila's where Claude Tayag brought Anthony Bourdain, has temporarily closed shop). But Aryln's and its several branches will definitely not disappoint. Also check out the barbeque at Junjun's and Nathaniel's puto pao and buko pandan. Speaking of Claude Tayag, you might want to bring a group to have lunch at his house Bale Dutung. But it won't be that easy. Finally, if you're willing to drive to the foot of Mt. Arayat, there is Abe's Farm, owned by the LJC Group of Restaurants of the late Larry Cruz. There may just be a few of them left. But it's still worth shopping around for the best imported bargains. Lest we forget, Clark was the PX center of the country before imported stuff found its way to our supermarkets and department stores. 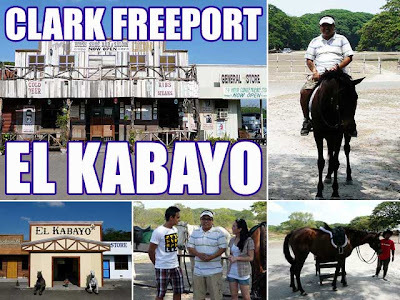 One of the activities in Clark is horseback riding at El Kabayo Riding Stables. While you can take the horse around the area, if you are adventurous and up to the task, why not go for a ride down to the Sacobia River and enjoy the lahar canyons created by the Mt. Pinatubo eruption? 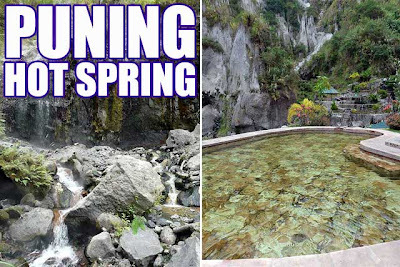 For PHP3,000, you can enjoy a visit to the Puning Hot Spring, complete with treatments. The price includes simple lunch, the 4x4 ride from Garden Restaurant to the hot spring and back, entrance fees to the hot spring and use of the facilities, sand steam (that's where they bury you up to the neck under volcanic sand), body mud pack, and a foot massage. One of the attractions of the place is a steaming hot waterfall. The water in the stream was close to 90 degrees Celsius. And they divert some of the water into various pools with different temperatures ranging from 40 to 70 degrees Celsius. There are eight hot pools and one cold pool. So if one pool is too hot for you, you can take a dip in the next one. We all know about the trek to Mount Pinatubo via Capas, Tarlac. 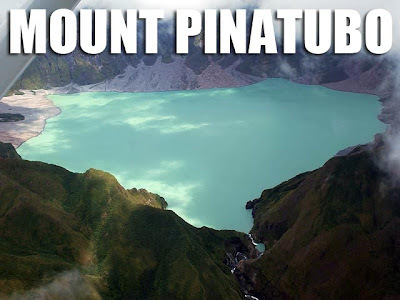 But have you ever wondered how Mount Pinatubo looks from the sky? Thanks to the Mount Pinatubo Sky Tour of Omni Aviation in Clark Freeport, you can now do that at a very reasonable price. It's PHP4,500 per head, regardless of the number of people who'll fly. That's because they have different sizes of planes. So if you're just alone, they can send you up on a two-seater Cessna 152 plane which I took. 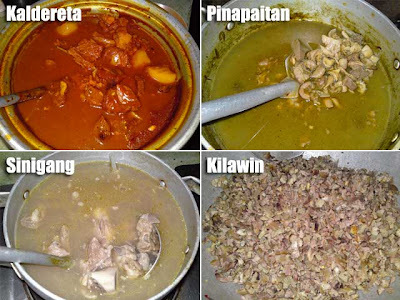 I already mentioned local Kapampangan food. But the Clark area is a mecca for international cuisine. 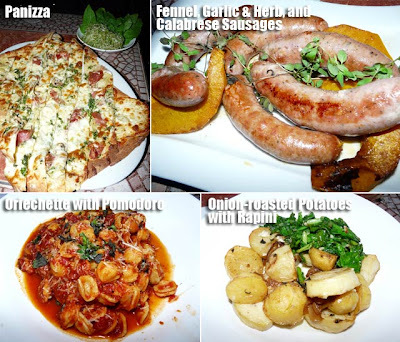 And Fields Avenue brings you around the world with its international restaurants. Among my favorites are C' Italian Dining, Zapata's (Mexican), VFW, AC Rumpa and Subdelicious (American), Cottage Kitchen (Cajun/Creole), Red Sea (Lebanese), Hana-mi (Japanese)... the list is endless! There's even a Korea Town along Friendship Highway. Maranao Grill in Oasis Hotel has the RST Buffet every Friday. RST stands for roast beef, roast lamb, sushi, sashimi and tempura. Inside Clark, Mequeni Cafe in Holiday Inn whips up one mean buffet as well. I tried their lunch buffet once and it's worth more than the price. Now obviously, you can't eat at all these places in one day since that would be gluttony! So why not stay another day? Clark has a historical core from the days of Fort Stotsenberg and Clark Air Base. You can also start your tour in Angeles City at the Center for Kapampangan Studies in Holy Angel University for an introduction of the province. Then head on over to Museo ning Angeles, the Angeles Church, Pamintuan Mansion and the Founders' House. Take a calesa around old San Fernando, a treasure trove of ancestral mansions. 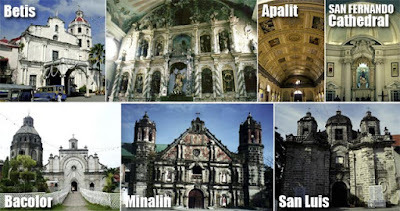 Make sure you also visit the San Fernando Cathedral and the churches of Betis (a National Cultural Treasure), Bacolor, Lubao, Minalin, and San Luis to complete your visita iglesia of the province. Clark is relatively near Barangay Sta. Juliana, Capas, Tarlac. 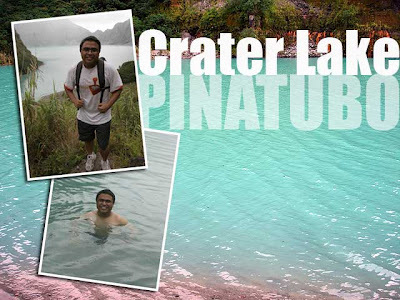 So another must do activity when staying in Clark is to trek to the crater lake of Mount Pinatubo to take a dip. Also check out the Pinatubo Spa Town. Take your pick! There are golf courses in Mimosa, Fontana and Clearwater to suit your golf needs. If you're a high-roller or just looking for some fun, the Clark area has several casinos including Casino Filipino Angeles, Casino Filipino Mimosa, Fontana Casino and Hotel Stotsenberg's Casablanca Casino. This one is coming soon! But I'm putting it in the list anyway so that we have something to look forward to. No need to drive all the way to Camarines Sur to enjoy world-class wake boarding since the Philippine Tourism Authority is said to be building a wakeboarding facility in Clark. Your food pics look so good, its making me want to have a second dinner! appreciate any advice. salamat po. nice nice nice very imformative! keepitup! lhat b yan naggwa nyo? magkano lht ng nagastos nyo? Except for the casino and golf because I don't gamble or play golf, yes I have over a long period of time. The Puning Hot Spring is about PHP3,000. The Pinatubo flight is PHP4,500 per head. And you'd usually spend PHP1,500 to 2,000 per head for Mount Pinatubo treks. Thanks for sharing this list ! It's very informative! My name is Erik Gomez a volunteer general manager for Paradise Ranch, an eco project of the PCFA an NGO. We are dedicated to promoting environmental conservation and providing jobs for the poor especially Aetas. Will appreciate if very much if you can please add the Ranch among the activities in Clark. We are visited by 1000 students a day for fieldtrip. Hi, Erik,we love to visit paradise Ranch on our holiday this coming September. We will be staying near SM Clark. Please tell me how to get there and how much would it cost us? Looking forward to your reply. God bless. pls suggest cheapest accomodation located at Clark. I wanna try the Kapampangan pizza!